5000 South Beach Boulevard, Bay Saint Louis, Mississippi [view mapview map] Book your room now. The Silver Slipper Casino is located at 5000 South Beach Boulevard in Bay Saint Louis (Waveland), Mississippi. The casino is owned and operated by Full House Resorts of Las Vegas, Nevada. The gaming floor covers more than 36,000 square feet and hosts nearly a thousand slots and video poker machines plus 25 gaming tables. There are three restaurants: The Blue Bayou Bar and Grill, The Jubilee Buffet, and The Palm Court Café which is open 24 hours. There is a beachfront RV park and the new hotel should be completed by late summer or fall of 2014. The Silver Slipper Casino seems to have perfectly bridged the gap between old and new. Like their namesake Las Vegas casino did years ago, Silver Slipper gives players the best odds on offer with 20x on craps, hand dealt 2-deck blackjack, and loyalty points that actually mean something on your card. For a look at the future, just take a look at any of the nearly 1,000 slots and video poker machines on the floor. You can follow the keno call or watch live sports on an LCD screen, right on the slot, while you play your favorite spins. Awesome. The table games include a riot of all-night favorites so it's a good thing the Slipper is open 24/7. Plus, be sure to check out the 3 new blackjack tables in the recently added high limit area. The Silver Slipper brings FUN back to gaming in a big way. The Silver Slipper Poker Room is now closed. 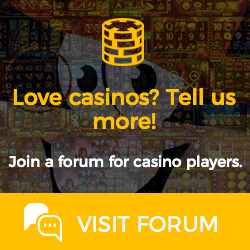 We are requesting to close the Poker Room on or about December 15, 2013. Beginning December 1, 2013 we plan to combine the secondary Bad Beat Jackpot Fund with the Primary Bad Beat Jackpot. At that time we will stop collecting the promotional funds and lower the Hold’em Bad Beat jackpot qualification to Aces full of anything. Both hands must use both hole cards. If the Bad Beat has not hit by December 8, 2013, we will lower the qualification to Jacks Full of anything. There are currently no news regarding Silver Slipper Casino. This is a truly upscale bar & grill like you will find nowhere else on the coast. Blue Bayou features a comfortable lounge for you to enjoy signature cocktails or your all time favorites. The kitchen at BBB&G is open for exhibition style presentations of your fare. The menu (see link above) features a plethora of fish and seafood specialties as well as some great looking butcher shop cuts. Enjoy live music while you look out the soaring windows with a great view of the gulf. The Jubilee Buffet is an elegant yet casual venue to enjoy all of your favorite gulf specialties as well as fare from around the world. Gumbos, imported olives and cheeses, a huge pot of fresh boiled gulf shrimp, you name it - it's in the spread. One of the most popular sections of the buffet is located right in the center - where you can choose from a wide range of expertly smoked, seasoned, sauces, and barbequed meats with traditional sides. The Palm Court Café always has some sort of special for diners to get excited about. It's great that they are open 24/7 for dine-in or take out. Specialty coffees along with sweet treats are a morning favorite, but come in a Thursday these days and it's all about free beignets and coffee from 8am - 11am! That could change or become a forever tradition. One thing remains the same, they serve up a great overstuffed po-boy, the deli sands are awesome, and the pizza and fry baskets always hit the spot. The Stage Bar is host to live entertainment on a weekly basis. Enjoy live music and good drinks wwith friends while making new ones. The beachfront RV Park at Silver Slipper offers 35 level concrete pads with electric, water & sewer hookups, 30 & 50 AMP power at each site, trash receptacles, and BBQ grills. Reservations are recommended. Please call (228) 469-2777 ext. 2727 for rates and availability.